Through business analytics, critical alerts and automated process capabilities, TRIRIGA can increase visibility, control and automation of your real estate management, capital projects, space management, facility maintenance and energy management needs. Finance and real estate executives can make more informed decisions—bringing increased value to their organizations through identification of high-return real estate transactions, increased facilities utilization and reduced energy expenses. Provides facility planning, management and flexible space reservation management to ensure the most effective utilization of real estate assets. Offers advanced, collaborative project management capabilities that help you identify project risks and benefits to drive on-time, on-budget projects. Use analytics and benchmarks to prioritize energy-savings projects and to trigger automation that helps you achieve and exceed energy reduction goals. Track budgets, costs and schedules for more efficient facilities maintenance; centralize move requests, management approvals, tracking information and scheduling updates. 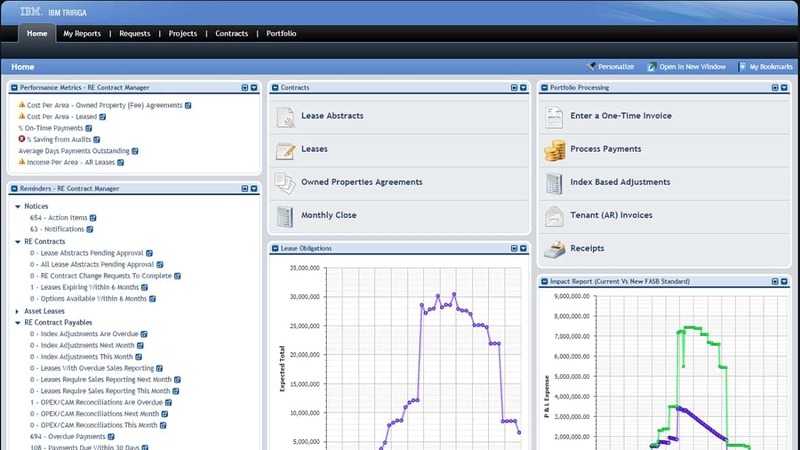 Streamline lease accounting practices to comply with new standards and analyze the financial impacts: leverage split ledger, out-of-the-box journal entries, calculate NPV, automate accounting tasks.